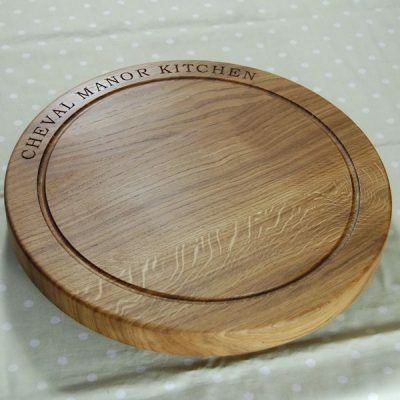 Perfect for entertaining, our beautiful oak lazy susan platters are both casual and elegant. 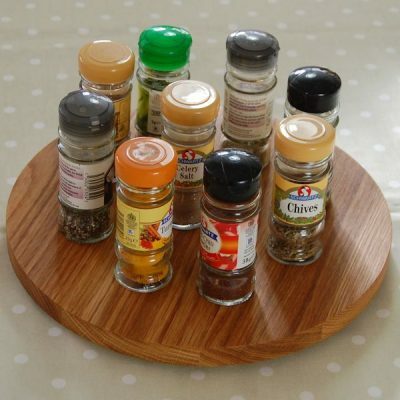 These stylish and practical designs are sure to become the centre of attention on your table. 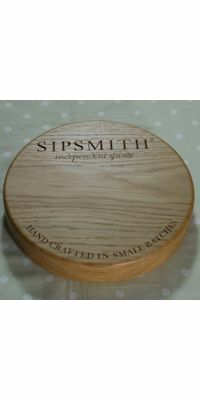 Our solid wooden lazy susans are hand crafted from full-length stave oak and are available in three sizes (30cm diameter, 38cm diameter and 42.5cm diameter) and three thicknesses (1.8cm, 2.7cm and 4.0cm). 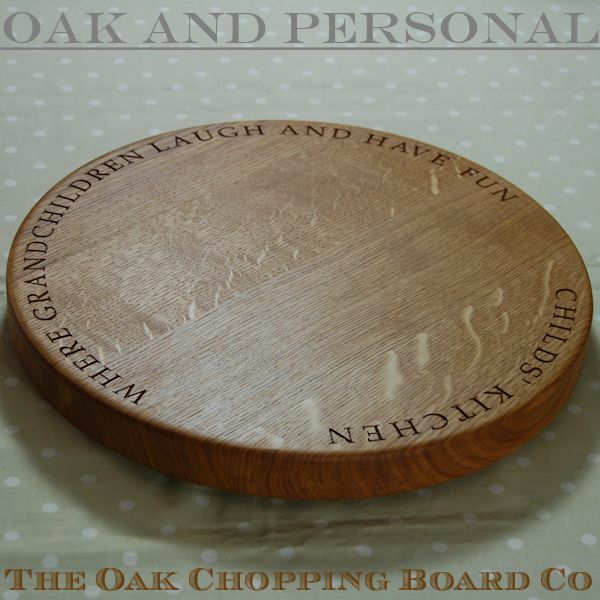 The serving platters may be personalised with your choice of text and, unlike most other suppliers, we offer a choice of engraved fonts and do not limit the number of characters. 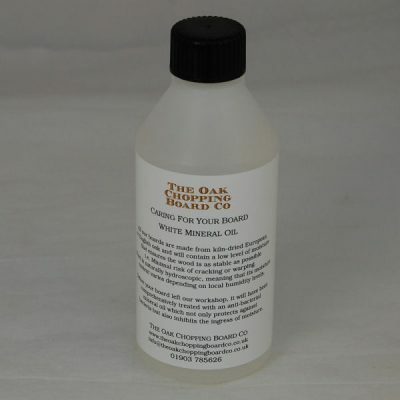 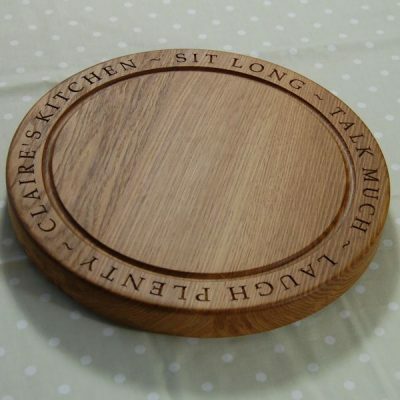 If you would like assistance in fitting your desired inscription on the lazy susan then please do not hesitate to contact us – engraving is available on the face or as a hidden message on the underneath. 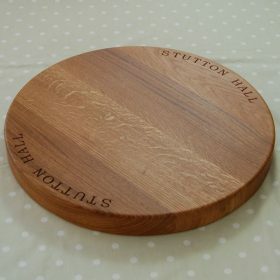 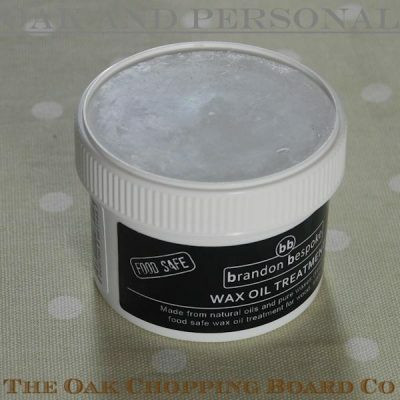 Each wooden lazy susan is carefully and repeatedly hand sanded and finished with many coats of a blend of natural oils and waxes.